Hosier Lane has emerged as the most recognisable location in Melbourne for artists who are keen to showcase their talents across its walls and footpaths as an act of education, defiance or self-preservation. Hand in hand with its bold artwork is the faint smell of urine. This is a reminder that the laneways are also thoroughfares and change face depending on the time of night and day. Someone’s drunken antics from the night before linger, waiting to be captured by tourists’ smartphones. The smells associated with this laneway, bring visitors one step closer to the sweat, adrenalin and grittiness of Melbourne’s street art subculture. It demonstrates that smell is an integral foundation of the interpretation of the artworks and allows the viewer to construct a story behind the visual. 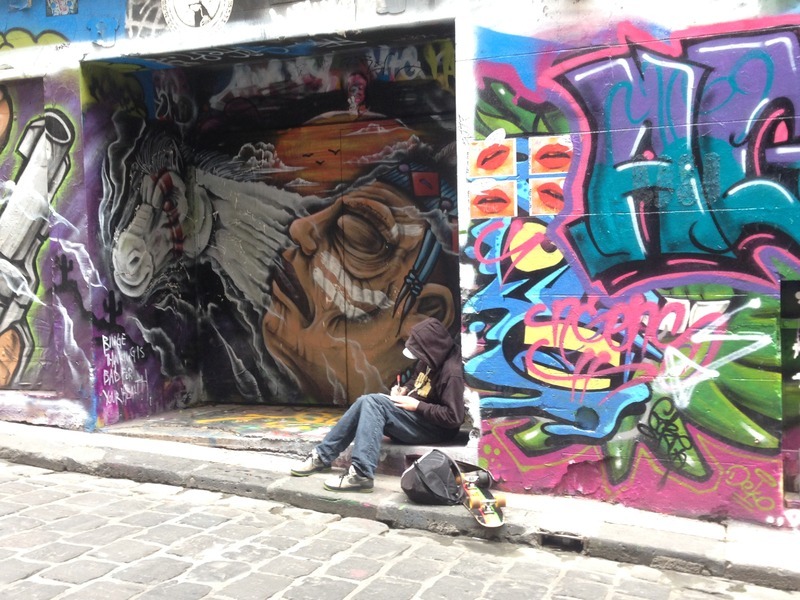 “Smell, Hosier Lane,” Street Art deTours, accessed April 24, 2019, http://streetartdetours.com/document/1143.